poll Which kebab restaurant is your favorite? The ambience is dignified and calm, the dishes artfully composed, the rice alone worth the trip. Housemade naan-like bread (taftoon) comes from a tandoor oven. 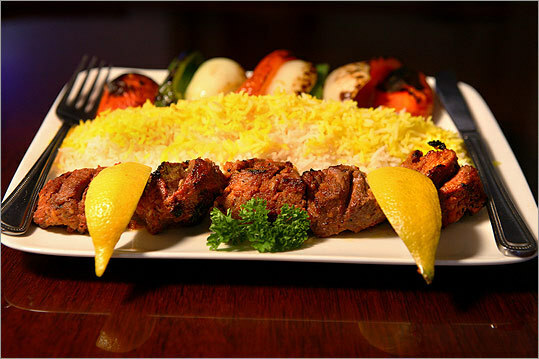 Chicken soltani, our fave, is a skewer of barg (chunks), and kubideh (ground), with basmati rice and grilled tomato. For a pittance more, get a specialty rice. This appealing spot off the main road is not as busy as it should be.